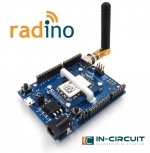 The Arduino IDE required follow includes for using the radino WiFi. 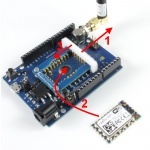 Before updating the ESP, flash the radino WiFi with the radino_WiFi_Firmwareupdate (radino/radino_WiFi/radino_WiFi_Firmwareupdate). - In the Tools(T) menu choose Config Device and set the Com port and set the baud rate to the value you used during testing (57600). Click Open then Connect but don't close this panel. This page has been accessed 76,098 times.